Commodore Business Machines Limited, Scarborough, Ontario, and Creargie Inc., Montreal, have announced their bilingual keyboard and French word processing software. 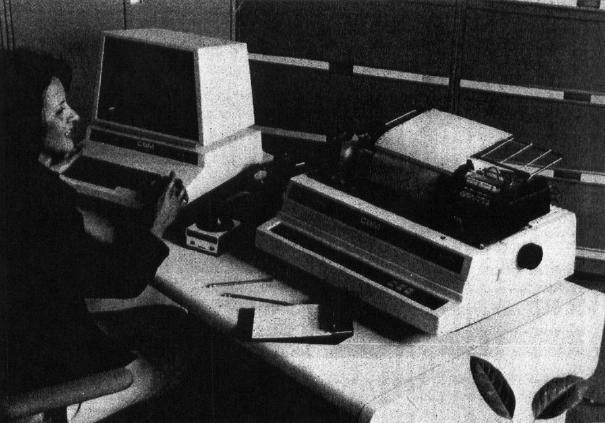 Jacques Brun of Creargie has designed a new character generator, and modified the keyboard of the Commodore 8000 series personal computers to be compatible with recent federal regulations and with the approval of Professional Software Inc., Mississauga, Ontario. The name of the new program is "WordPro 4-Plus ML". The word processing software, WordPro 4-Plus, has been translated and modified so that in using it, along with certain redesignated keys, the French characters appear on the screen – including capital letters with accents – and can be printed out on any letter quality printer. The WordPro manual has been rewritten to reflect the changes and is translated into French. The keyboard, however, is not only bilingual but multilingual. In addition to French, character generator sets for German, Spanish and Italian have been created, all available with the same program and with the proper accents and marks for each of these languages. The plan is to market the four versions internationally, as well as in specialized markets within Canada.